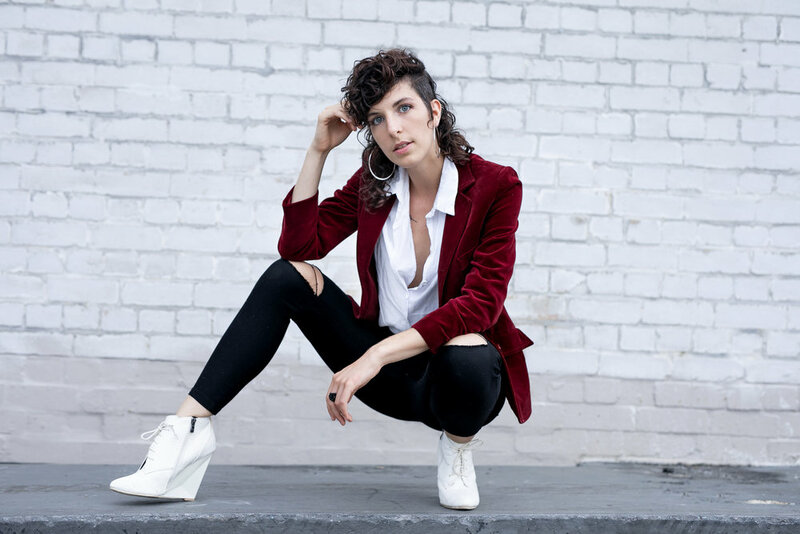 Lindsey Stillwell is a multi-disciplinary androgynous performing artist with accent skills, adaptability, and a strong ability to take feedback & direction. My passion is theatre and film, and I've worked on various of my own productions of my one-human show 'Lady Zee: Dragtivist & Queen', as well as other immersive and physical theatre productions. I have modelling and extra experience, and am a performance poet & storyteller, as well as a trained singer and musician. Performing under the name Stillwell, I create poems and craft words to be shared through embodied performance. From 'slam' poetry to prose, my poems are reflections of my life experiences and inner philosophising. I am a skilled storyteller, animating characters and voices to create an immersive experience. My intuitive nature and strong connection to the present moment equip me with the quick-wit of improvisation. I create short skits, in-the-moment poetry, and embodied characters, as well as vocal percussion and sound. I started singing before I could read lyrics, and have shared my voice through musical theatre, choirs, solo singer-songwriting, bands, beatbox, and sound therapy. Using a wide range of sounds, tones and vocal articulation, I am a skilled vocalist evoking heart-warming and spine-tingling songs and vocals. I love creating characters and am a skilled voice-over and accent artist. I love being on the stage, and have performed in various settings from youth camp drama programs to university theatre, immersive theatre projects, multi-media art productions, installation performance art, and film acting. Poignantly bringing to life her passion for connection and presence with life, Stillwell speaks with precision and humility. She dares to push the edge of what poetry is and take the audience to places rarely experienced in the slam scene. Her creative ability to intertwine melody and rhymes is sure to leave the audience in wonder and curiosity.